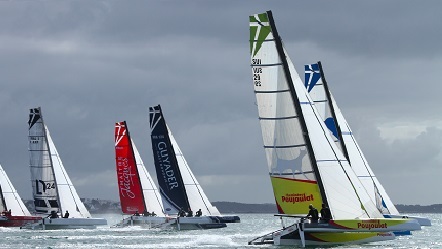 Selected by the Tour De France a la Voile in 2015 – a revolution in equipment and format of racing. Developed and optimised at Port La Foret by the elite of French Sailing. Voted “Boat of the Year 2017” – Overall Winner and Best Multihull – Sail Magazine – USA. 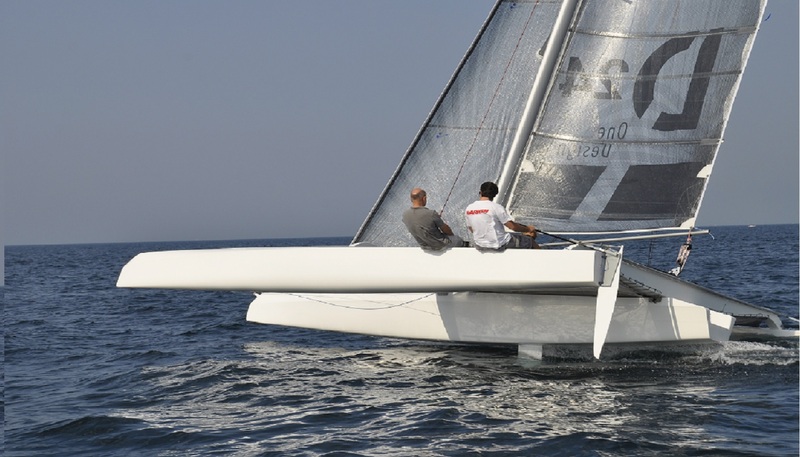 The Diam24od is a safe family day sailer, ideal for savouring the pleasures of high speed sailing and easy handling. Perfect for discovering that secluded bay or picnic beach. 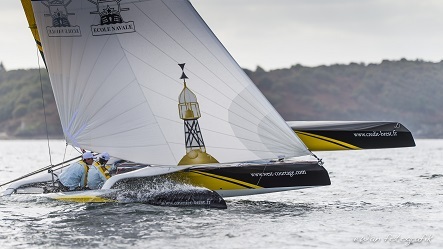 It is also a one design sportboat, simple and accessible for all, that allows you to discover multihull racing – around the bouys or on coastal distance courses. A stiff and rigid platform : The non folding beams gaurantee an uncompromised rigidity accross the beam. Autonomous handling – the overall size of the boat and it’s components permits 100% manual handling. No mechanical assistance is required. A balance of forces. A perfectly balanced helm makes the boat lively and seaworthy. 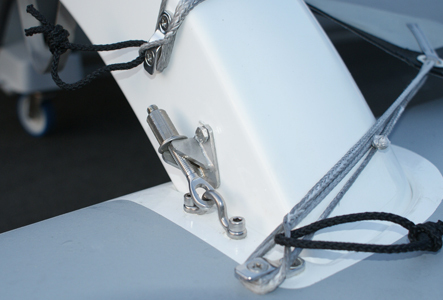 2 rudders – on each floater allow you to sail with the central hull out of the water – with a single central daggerboard for performance and saftey. Simplicity. A clean deck plan, a minimised sail inventory – only the essential 3 sails (main ,Jib, gennaker). The Diam24od inspires confidence to allow you to sail « with your head out of the boat » – to maximize your enjoyment of the speed, slide and glide. 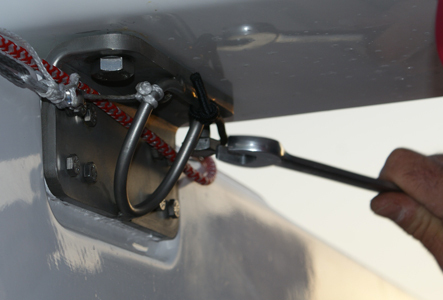 A rotating Carbon Mast, with spreaders, simple adjustable diamond wires, and sidestays. 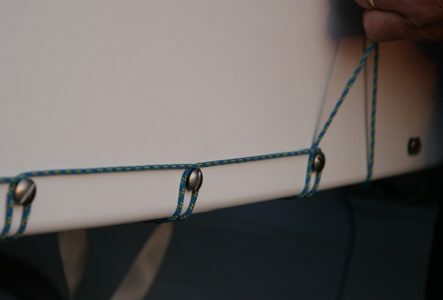 Rigging: Etai câble inox, Hauban textile. 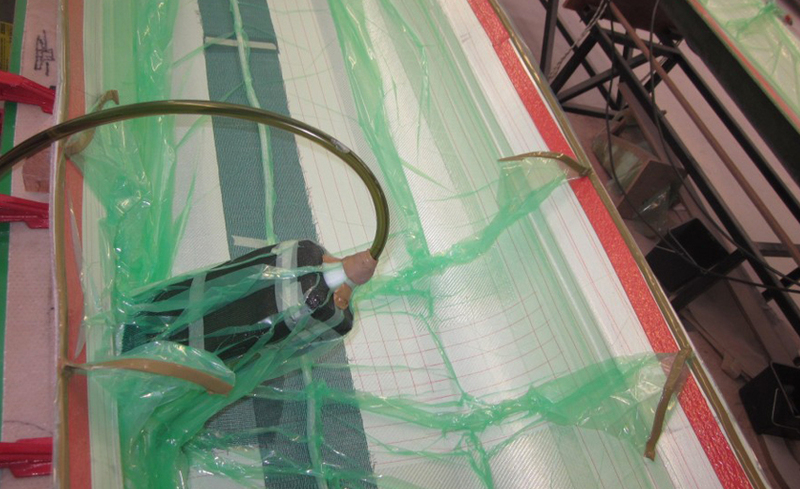 Choosing resin infusion ensures perfect repeatability in the production process. To better serve the development of the class we have set up a brokerage service. Our role as broker is to make the connection between owners wishing to sell their boats and customers interested in buying a second hand boat. The boats are refitted, visited, inspected by our team in our yard of Port la Forêt according to quality criteria and control of the designer builder. We carry out the necessary work for a state close to new in order to guarantee our prospects, future customers, the reputation of the concept of Diam 24 one design. Find the best second hand Diam 24 od!